John Lenczowski is Founder and President of The Institute of World Politics, an independent, nonprofit, accredited graduate school of national security and international affairs, dedicated to developing leaders with a sound understanding of international realities and the ethical conduct of statecraft — i.e., the use of the various instruments of power in service of national interests and purposes — based on knowledge and appreciation of the American political economy and the Western moral tradition. 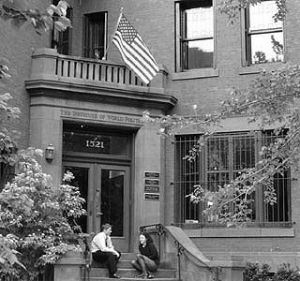 The Institute offers three M.A. degrees in its Master’s Degree Program, eight Certificates of Graduate Study, and a Continuing Education Program, all with a professional curriculum covering the various elements of statecraft. This curriculum is based upon an interdisciplinary foundational course of study that includes relevant elements of comparative political culture, Western moral precepts, practical political economics, and political and diplomatic history. To teach our students to think strategically – how to think, rather than what to think. The video below shows John Lenczowski talking about IWP at an open house for prospective students.